Nonfiction books, with the possible exception of memoir, are sold almost entirely on the basis of a great idea combined with the perfect author. Does your nonfiction concept have what it takes to get the attention of an editor or agent? 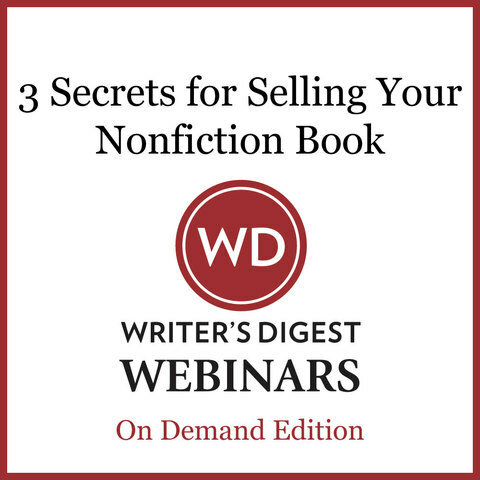 This webinar helps you understand how to identify and persuasively present the most marketable qualities of your project, and build a book proposal that lands a book deal. While there is no "right way" to prepare a book proposal—just as there is no right way to write a book—you'll understand what an industry professional looks for when reviewing your idea. Find out the difference between a nonfiction book concept that gets an immediate, enthusiastic response from agents/editors—and one that gets no response. Learn the one golden rule of nonfiction book ideas and how it assures publication every time. 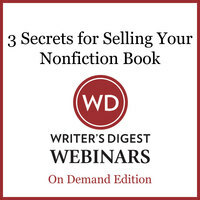 Learn the basics of nonfiction book proposal writing—smart authors never write the book first, they always write a proposal. Why self-help/memoir hybrid works almost always get rejected. The types of memoirs that can and do sell today. How a book proposal needs to be approached like a business plan to be successful. Why the marketability of your idea (or the strength of your platform) is more important than the quality of your writing.